How you managed it I do not know, but you threw in a non-sequitur slur against the Church of Scientology in a paragraph about a Turkish cleric. Amazing. I read your piece last week about President Erdogan and Turkey. 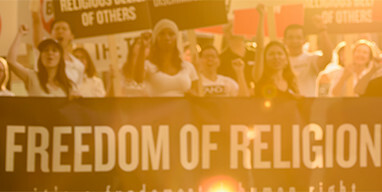 Scientology is recognized as a religion in countless courts in dozens of countries—the U.S., UK, Mexico, Colombia, Australia, India, Italy, Spain, Belgium, New Zealand, Macedonia, Portugal, Argentina, Germany, etc., etc. Slurs like yours do nothing but create bigotry. If you want to find out what Scientology truly is I recommend you go to scientology.tv and find out for yourself. Slanted.com, Instead of Promoting Lies About Scientology Why Not Get The Truth?